Being mean is never harmless. Ning is a popular student who is well-liked and respected by all in school. She’s everyone’s model, the most perfect girl in school. Everyone wants to be her friend. 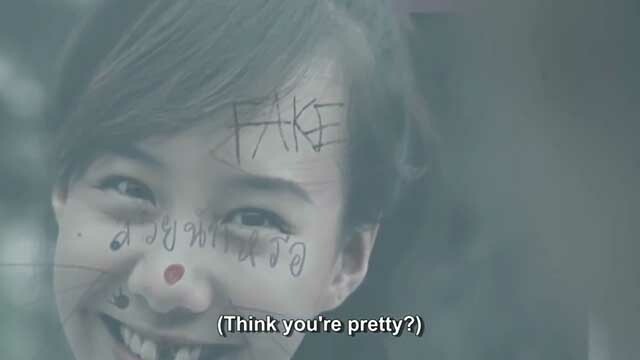 The class’s troublemaker picks a girl to bully, and it turns ugly. Ning is complicit in the incident, and forms a conflicting relationship with both troublemaker and victim. The situation comes to a boil: the bully will be named, eventually, and shamed publicly. How will Ning overcome this moral conflict and still have friends at the end? ‘Give & Take’ has screened in the UK and selected for film festivals in Taiwan, Czech Republic, Greece, and was nominated for the Golden Harvest Awards for the category Best Student Short Fiction in Taiwan. It won the Vladana Terčová Award at the International Student Film Festival in Písek, Czech Republic. May Was The Most Popular Girl In School. This Is Her Downfall. Will The Real Bully In This Boys High School Please Stand Up?